Qin Opera is acclaimed as one of the outstanding works in Chinese literature since 1949, it’s an important epic piece about contemporary Chinese rural society and another peak in its creator’s literary career. This novel has won full recognition in two aspects: First, it has captured some emotion characteristic of the era of huge transformation in rural society, unveiled truly and deeply the mental dilemma typical of human world, thus empowering the novel the touch of universal human care in the symbolic level, and constituting an elegy to the disappearing time honored countryside. Second, in terms of artistic expression, the novel has recreated a vivid world by building solidly on the precise description of daily hassles and the minutiae of everyday life. It has managed to grasp the heart of the matter in an elegantly and unhurried pace. Mundane and trivial as it might seem, Qin Opera is a work of tenacity and composure. Jia Pingwa chooses Qin opera, one of the oldest Chinese operas and renders it the role of folk culture carrier. Drawing upon this traditional culture, he unfolds the inevitable trend of the decline of countryside, and pours out his utmost sincerity for this memorial, his “hometown.” The emotional conflicts as demonstrated by the novel are a kind of hopeless frustration embedded in the bones of the peasants and inherent in the transmutations of daily existence, with a kind of doomed passiveness shrouding over everyone. Loving the land yet incapable of keeping it, the peasants who are caught in such a double bind cannot but escape it. Their moral entanglement, suffering agony and perplexed despair have prompted the author to write out this elegy, in which the portrayal of the disintegration of rural life and cultural being reveals the distress keenly felt by him, China’s saddest griever. Jia Pingwa, born in 1952, is a native of Danfeng County, Shangluo City in Shaanxi Province. Having graduated from the Chinese Department of Northwest University in 1975, Jia Pingwa founded the Literary Journal Essay in 1992, and assumed the position of Dean of School of Humanities at Xi’an University of Architecture and Technology in 2003. He is, now, a member of the Presidium of the Chinese Writers’ Association, Chairman of Shaanxi branch of the organization, and Chairman of Xi’an Literary Federation of Literary and Art Circles. Jia Pingwa started publishing literary works in 1974, First Records of Shangzhou, Turbulence, Ruined City, White Nights, Earth Gate, Old Gao Village, Heavenly Dog, Black Clan, The Good Fortune Grave, The Regrets of a Bride Carrier, Pregnancy, Wolves of Yesterday, Health Report, and Qin Opera are but some of his major pieces. In 1979, Jia Pingwa won the 1st National Best Short Story of the Year for his short story Full Moon. His novella Lunar December, Lunar January won the 3rd National Best Novella of the Year. Traces of Love won the 1st National Best Prose (Collection), and Jia Pingwa’s Lengthy Prose Selection won the 4th Lu Xun Literature Prize of excellent prose and essays. In 1997, Ruined City was awarded French Prix Femina étranger, and in 1987 Turbulence was recognized by the Pegasus Prize For Literature. Qin Opera won both the 7th Mao Dun Literature Prize in 2008 and 1st HongKong The Dream of the Red Chamber Award: The World’s Distinguished Novel in Chinese In 2006. His works have been translated into over 20 languages including English, French, German, Russian, Japanese, Korean and Vietnamese. The main storyline of Qin Opera develops along two strands, one is the operatic form per se, and the other is the relationship between peasants and the land, the two being interwoven and pushing against each other. Taking as its prototype his own hometown Dihua Village, Danfeng County in Shaanxi Province, Jia Pingwa gives a vivid account of the evolutions of a village by the name of Qingfeng Street over the past thirty years. With traditional art declining in the course of modernization and urbanization as the entry point, the story takes a close look at the myriads of life and custom of a grassroots society during the reform era, with a view that manifests how human ethics and cultural psychology get constantly challenged and scattered in the vicissitudes of traditional rural world. The story is narrated by Zhang Yinsheng, a local resident, who is a fatherless, motherless, wifeless, sonless loner in bitter love with Bai Xue from the Bai family. He is treated as a lunatic by the fellow villagers and is greatly disgraced for being beaten after stealing Bai Xue’s underwear. Qingfeng Street has two prestigious families, the Bai family and the Xia family. The Bai family has long lost its prestige, but has raised Bai Xue, a famous Qin opera actress known as “the leading light”. Bai Xue is married to Xia Feng, son of the Xia family. After their divorce, she took Xia Tianzhi, a retired primary school headmaster as her godfather. Mr. Xia is the youngest among his siblings, his three elder brothers are called Xia Tianren, Xia Tianyi and Xia Tianli respectively, which collectively mean “ren (benevolence), yi (righteousness), li (propriety), and zhi (wisdom)”, symbolizing the absolute reverence for traditional Chinese ethics and morals in rural society. While ruling over Qingfeng Street, the two generations of the Xia family have fought and struggled arduously in keeping and escaping the land. Along with the transformations in social environment and historical circumstances, the older and younger generations of the Xia and the Bai families have witnessed twists and turns in life and death, separation and reunion. As the market economy began to sweep through the whole province, what follows is the yawning gap between the rich and the poor, the sudden collapse of lasting value system resting on land and fortune, as well as the shattering and subversion of conventional ethics and morals. Hei E, one of the village dwellers, despised poverty and curried favor with the rich. Heedless of her womanly virtues, she made no effort to hide her affair with Qinyu and deserted her husband Wu Lin, a bean curd monger, which finally ruined Qingyu and Juwa’s marriage. Bai E, for another, became Li Sanxue’s secret mistress for money but was sexually promiscuous with Yinsheng, the lunatic, at the same time. The girls in Qingfeng Street followed Ma Dazhong out of the village to seek indecent profession. Gambling, whoring and the like emerged in the village, some village carder was even arrested for involvement in this business. Cuicui engaged herself in prostituting openly in the village. The sons of the Xia family all shunned the duty of caring for their parents. Having to carry the coffin of Xia Tianyi themselves when no coffin-carriers could be found, they quarreled bitterly about the tombstone. “In Qingfeng Street, quarreling and fighting is a daily occurrence. It is often the case that father and son turn against each other and brothers end up being enemies.” The traditional relationships between father and son, husband and wife, peasants and the land have changed subtly and imperceptibly. 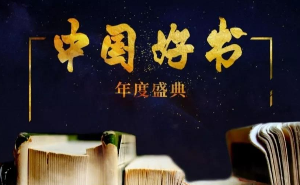 Throughout this process, Qin opera, the main thread of the novel, is declining; the locals’ attitude towards the opera and its performers is also undergoing ups and downs. This important traditional art, which has endured for hundreds of generations in the land of Shaanxi, is confronted with daunting challenges of the modern society. The shout of Qin opera from the dog called Lai Sheng (Next Life) in the novel is the very cry from the inner heart of the writer for the modern dilemma faced by ancient civilization.